Melvin Edwards included in the group exhibition The Long Run organized by Paulina Pobocha and Cara Manes at The Museum of Modern Art, New York. Innovation in art is often characterized as a singular event—a bolt of lightning that strikes once and forever changes what follows. The Long Run provides an alternate view: by chronicling the continued experimentation of artists long after their breakthrough moments, it suggests that invention results from sustained critical thinking, persistent observation, and countless hours in the studio. Each work in this presentation exemplifies an artist’s distinct evolution. For some, this results from continually testing the boundaries of a given medium, for others, it reflects the pressures of social, economic, and political circumstances. Often, it is a combination of both. The Long Run includes monographic galleries and rooms that bring together artists across a broad range of backgrounds and approaches. All the artists in this presentation—drawn entirely from MoMA’s collection—are united by a ceaseless desire to make meaningful work, year after year, across decades. 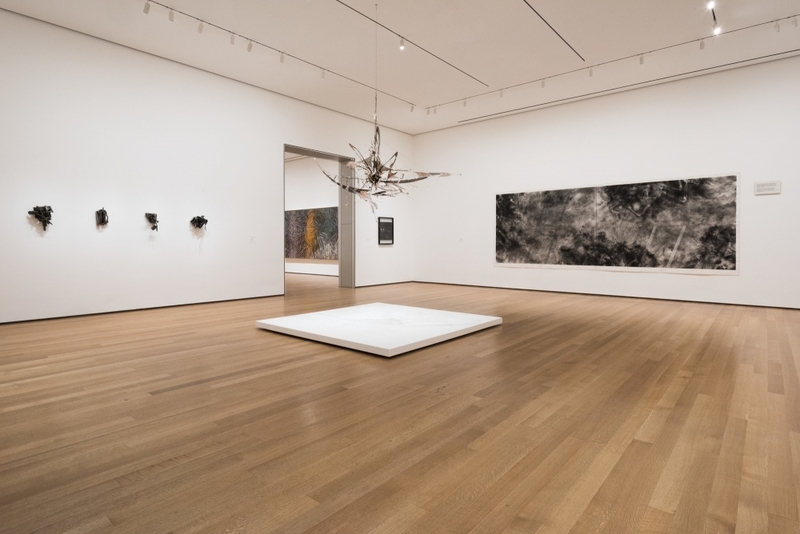 They include Lee Bontecou, Louise Bourgeois, Melvin Edwards, Gego, Philip Guston, David Hammons, Jasper Johns, Joan Jonas, Helen Levitt, Elizabeth Murray, Georgia O’Keeffe, Gerhard Richter, Frank Stella, and many others.